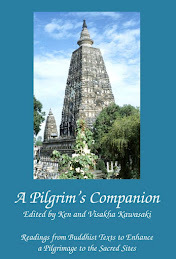 dhamma musings: America Is Becomming Hindu?? America is not a Christian nation. We are, it is true, a nation founded by Christians, and according to a 2008 survey, 76 percent of us continue to identify as Christian (still, that’s the lowest percentage in American history). Of course, we are not a Hindu—or Muslim, or Jewish, or Wiccan—nation, either. A million-plus Hindus live in the United States, a fraction of the billion who live on Earth. But recent poll data show that conceptually, at least, we are slowly becoming more like Hindus and less like traditional Christians in the ways we think about God, our selves, each other, and eternity. The Rig Veda, the most ancient Hindu scripture, says this: “Truth i s One, but the sages speak of it by many names.” A Hindu believes there are many paths to God. Jesus is one way, the Qur’an is another, yoga practice is a third. None is better than any other; all are equal. The most traditional, conservative Christians have not been taught to think like this. They learn in Sunday school that their religion is true, and others are false. Jesus said, “I am the way, the truth, and the life. No one comes to the father except through me.” Americans are no longer buying it. According to a 2008 Pew Forum survey, 65 percent of us believe that “many religions can lead to eternal life”—including 37 percent of white evangelicals, the group most likely to believe that salvation is theirs alone. Also, the number of people who seek spiritual truth outside church is growing. Thirty percent of Americans call themselves “spiritual, not religious,” according to a 2009 NEWSWEEK Poll, up from 24 percent in 2005. Stephen Prothero, religion professor at Boston University, has long framed the American propensity for “the divine-deli-cafeteria religion” as “very much in the spirit of Hinduism. You’re not picking and choosing from different religions, because they’re all the same,” he says. “It isn’t about orthodoxy. It’s about whatever works. If going to yoga works, great—and if going to Catholic mass works, great. And if going to Catholic mass plus the yoga plus the Buddhist retreat works, that’s great, too.” Then there’s the question of what happens when you die. Christians traditionally believe that bodies and souls are sacred, that together they comprise the “self,” and that at the end of time they will be reunited in the Resurrection. You need both, in other words, and you need them forever. Hindus believe no such thing. At death, the body burns on a pyre, while the spirit—where identity resides—escapes. In reincarnation, central to Hinduism, selves come back to earth again and again in different bodies. So here is another way in which Americans are becoming more Hindu: 24 percent of Americans say they believe in reincarnation, according to a 2008 Harris poll. So agnostic are we about the ultimate fates of our bodies that we’re burning them—like Hindus—after death. More than a third of Americans now choose cremation, according to the Cremation Association of North America, up from 6 percent in 1975. “I do think the more spiritual role of religion tends to deemphasize some of the more starkly literal interpretations of the Resurrection,” agrees Diana Eck, professor of comparative religion at Harvard. I would agree with this. It surprises me that this is so, even in rural Oklahoma, but it is true. Though my own city has nearly 80 churches (averaging one every two or three blocks), just talking with friends I am hearing these same things. I don't know if it is as much a religious thing as it is the exposure through our public education system to a plurality of worldviews (the percentage of people with college degrees is increasing as well). Add on top of that being cosmopolitan seems to be the coming fad spreading out from the more densely populated cities. Either way, I certainly welcome it as more people seem to be open to differing ideals, which usually translates to people getting along a lot better, though there are other social issues that still fuel violence and hatred. "Hindus believe no such thing. At death, the body burns on a pyre, while the spirit—where identity resides—escapes. In reincarnation, central to Hinduism, selves come back to earth again and again in different bodies." How does it differ from Buddhism's reborn? Surely there is 'something' that moves from one birth to another whatever it is called be it spirit, mental energy, etc etc. Otherwise how can someone be identified in their past lives if there is nothing unique to that individual to be traced back? But then again that would be conflicting to Anatta teaching. I am just confused. Please show some lights. I refer to the part about Christians choosing cremation. It is ok for Christians who believe in the future bodily resurrection to go for cremation if they believe that God can resurrect a person bodily without having to use the same original "material". The title and story should probably read, "America is becoming more New Age" rather than Hindu. Traditional Hindu theology is not that accepting of converts. A Hindu scholar I met in India was quite adamant that it is impossible to convert to Hinduism. There is the problem of caste, etc. and where would a convert fit in? One must be born a Hindu, in conservative Hindu thought. Perhaps and hopefully from the New Age type beliefs, some might stumble upon the Dhamma, which is universal and has no problem with converts. Two things. Firstly, there is no‘Hindu’ concept of what happens after you die. Because ‘Hindu’ is only a (Western) term for a wide variety of beliefs and practiced current in India, there is in fact numerous ideas about what happens. The one mentioned in the Newsweek article, or ones similar to it, is certainly a very widespread one. For the differences between this and the Buddhist concept please go to www.buddhismatoz.com and look up Anatta, Anatta and Rebirth, Rebirth, Reincarnation and Self. I’m sure this will answer your questions. And David is quite correct in saying that America (and most Western) countries is becoming more New Agey rather than Hindu. Thank you for pointing me to the website. I read all the information however I still could not fully catch the difference, maybe I am not that intellectual enough. It is said that according to Hinduism there is an eternal self or soul or atman that passes from one body to another upon death. 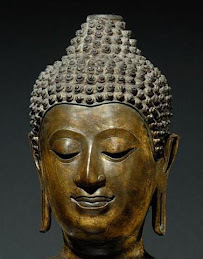 And the Buddha taught rebirth (punabbhava) which is the idea that at death the mind re-establishes itself in a newly fertilised egg, thus animating a new body and continuing the individual. Isn't it in this case the mind is behaving just like an eternal self or soul? I am none the wiser about reincarnation and rebirth. Both give the impression that 'something' lives on after death, after the original physical body had decomposed. Ancient Egyptians and Chinese believed somewhat similarly but they preserved the dead bodies so that if their souls or minds return, there is an original body to return to. In reincarnation, the soul manifests itself in a new body. It’s like old wine in new bottle? Rebirth is like the old mind of mine got implanted in a fertilised egg. What if the fertilised egg is that of an animal or insect? Will the animal or insect behave like I did or have a mind of its own? I think the difference lies in the concept of the "self". In the case of Buddhism, impermanence of the "self" extends to whatever moves on in rebirth. But isn't it just the same case then in Hinduism, because the newly born individuals don't know about their past lives or past identities? And that there is a permanent entity that moves from one birth to another, just that one call it soul and the other call it mind? I am all confused. Perhaps some teacher can give better idea with illustrations. You say there are many ways. Is reincarnation teaching no better, no truer than resurrection teaching then? You don't think you have anything special to offer? Please allow me to hazard a guess. There is no coming and there is no going. There is no entity, let alone a permanent one. The main difference between most versions of reincarnation and the Buddhist one is that the others claim that an eternal, unchanging, divine soul passes on to the new body while Buddhism says that an evolving, constantly changing, flow of mental energy continues. To use an analogy popular in Hinduism, the soul is like a man who takes of his clothes and then puts on a new set. Buddhism would say that the individual is like a river – it ‘goes’ from here to there but only because its waters moves, flows and changes. Allow me to hazard a guess too. Reincarnation, rebirth, resurrection ... all have a common theme - continuity after death. Simply put, we just 'hate to leave this world' or fear death and want to live forever, [long live the Emperor, Queen, Kim the Dictator], life after death [Pharaohs, Yellow Emperors], returning to life [Christian resurrection]. If there is no coming, no going, no entity, and impermanence only, why is Buddhism so concerned with rebirth? Is it attachment to life? Arithmetically, it doesn’t add up. If there is one soul or one mind after a death, there can only be one reincarnation or rebirth. There are more new born than deaths, so there must be a lot of souls and minds wandering about waiting for the opportune time to ‘materialised’. For resurrection to take place, the souls have to be ‘stored’ somewhere until the Second Coming or Armageddon. Thank you for your kind explanation. If I understand it fully, does that mean that according to Hinduism a permanent soul taking new rupa but same nama, I am forever Alimin no matter what I will be born as? But then how could that be because my name is only given by my current parents which are not necessarily my parents in the next. How could that simple flaw not thought by many yogis before the time of the Buddha? Another question that arises is if the soul simply moves from one body to another, does that imply the soul has power over the body and is more 'mature' than the body which also means that it doesn't go through the process of growing up and develop? With respect to Bhante and the title of original post, my comment here is not so much whether Americans are becoming Hindus or New Ageys. It is about the concept of Reincarnation, Rebirth and Resurrection [which have more or less similar theme] and whether it is just pure belief or is the truth. It is immaterial what one chooses to call the ‘thing’ that ‘survives’ or ‘leaves’ the lifeless human body. I cannot imagine what state the soul is but energy is derivative – derived from transformation of matter or changes in its inherent physical property. Energy can flow like water and be transmitted as in the example of cueing a billiard ball. However, will energy remain forever? Endless Energy will be a force to reckon with. Typhoons and tornados will not abate. Nagasaki and Hiroshima will still be shrouded by nuclear mushrooms. Tremors will still be felt and bridges continue to collapse. If the dead refuses to depart but continues its journey in another carrier, this can be complicating. With greying population in First-World countries, reincarnations and rebirths have to find poor and deprived bodies to reside. For resurrections souls have to be ‘stored’ somewhere before decomposed bodies get ‘restored’ to life. Hmm …. we may not want our old bodies back! Dear Venerable, my apologies..went out of context with topic. Concerned with rebirth so as to continue until it no longer require to reside in a body. It does not add up probably because other beings may also reborn as humans, such as devas and animals. Then, we are too ignorant at this stage to know the mechanism whereby the "thing" that left the body unites with the ferlilised egg, matching its karmic destination. Lastly, there is a law in physics called the "law of conservation of energy" which explains why "typhoons and tornados will not abate" etc. the "soul" as that part of us that is not destructible, even if it goes to "hell". This is especially true for believers of religions, but excludes those who do not believe in after-life. The Buddhist position, if not too different, I believe is a refinement of this idea. We might perhaps worry more about understanding the Buddhist concept of the "self" (ie the "I", "Me", etc) rather than how it is different from the Hindu or the Christian concept. looking at things conceptually, thus when we are fully enlightened and have "direct knowledge", such conceptualising ceased. But, of course, I am still conceptualising. We conceptualise only because there is no concretising yet, i.e. concept vs concrete. Focusing on rebirth, what is it that is reconstituted and propagated? Is it an old ‘mind’ in a new body? And this anatomical body has a lifetime, be it human, animal or insect. In no self, the body has to be inconsequential, a mere receptacle for what was reconstituted. 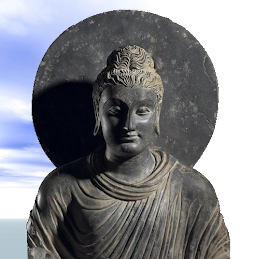 Who then is the ultimate beneficiary of nirvana – a receptacle? When no rebirth is attained, where does this ‘mind’ go to? The Buddha said (to paraphrase): “There must be an unborn and uncreated; for if there were not the unborn and uncreated, how could there be the born and the created?” So what does that mean? How should it be interpreted? It seems that you understand ‘nama’ to mean the name your parents give you at birth. This is not correct. 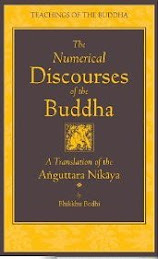 ‘Nama’ in Buddhism means the mental process of commenting on things, conceptualizing them, giving them names, i.e. the mind. So, as I said before, according to the Buddha, a constantly evolving, changing, shifting, fluctuating stream of mental energy re-animates a new body at death. Thank you Bhante and other friends who responded. 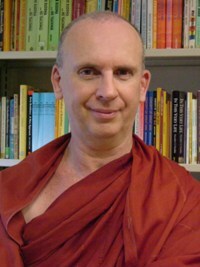 After a few days of careful observation, I concur fully to what Bhante Dhammika said from the Buddha's teaching i.e. a constantly evolving, changing, shifting, fluctuating stream of mental energy re-animates a new body at death. Because it is a flow, a stream, a process, it does not go against the teaching of Anatta. Hard to put the understanding down in writing, but I can see what it means.